The first part of this series discussed general survey preparation and specific elements of the infection control program likely to be surveyed in Ambulatory Surgery Centers (ASCs) and hospitals. This post will examine what surveyors will most likely observe when looking at practice. Since surveyors will ask questions and/or observe staff, consider doing the same when rounding to help staff become comfortable to this aspect of a survey. For staff that are very new to the survey experience or experienced but nervous, consider having a colleague that staff aren’t familiar with observe practice and ask questions. Hand hygiene (or lack thereof) is one of the first things generally noticed by surveyors. Poor hand hygiene may be viewed by surveyors as evidence of an inadequate infection control program since this basic activity is the cornerstone of preventing transmission. Hand hygiene will be noted throughout the survey, regardless of the length of the survey. Surveyors will also note if adequate hand hygiene supplies (e.g. soap and paper towels at sinks, alcohol-based hand rub dispensers in patient care areas such as recovery room or inpatient units, food preparation areas, medication preparation areas) are available. Work with your environment of care specialist to ensure the alcohol-based hand rub dispensers comply with the fire code. The CMS Conditions of Participation (CoPs) or Conditions for Coverage (CfCs), state that medication preparation areas must be at least 3 feet from sinks or a splash guard must be used if this spacing isn’t possible. However, some facilities have been cited due to potential splashing of patient care supplies as well. The safest approach is to ensure nothing is within the sink splash zone. Surveyors will also be on the lookout for artificial nails or extenders on direct patient care staff. If your policy states something different, some surveyors may survey to your policy as well. Injection practices are closely examined due to multiple outbreaks related to unsafe practices. Read our blog entitled “Uncommon Practice: Safe Injection Procedures” for additional information and resources. Injection practices are one area that is particularly scrutinized by most surveyors. In ASCs surveyors will observe the use of personal protective equipment (PPE) such as gloves, gowns, and masks relative to standard precautions with a focus on appropriate glove use. In hospitals, special attention is given to PPE usage for both standard and transmission-based precautions. Surveyors may ask for a list of epidemiologically significant organisms followed and the rationale for selecting these organisms in hospital settings. Additionally, the hospital infection control worksheet contains pages of potential ‘tracers’ that CMS surveyors could conduct, which includes urinary catheters, ventilators, and central lines. Use the worksheet and conduct your own tracers to preclude a surprise citation during a CMS survey. High-level disinfection and sterilization are key components of a survey in both ASCs and hospitals. These areas are vulnerable to findings since numerous steps must be completed to provide safe equipment and instruments for use on patients. Be sure the manufacturer’s instructions are used for all aspects of instrument processing and flexible scope processing. The CMS worksheets for ASCs and hospitals both contain some detail in these areas. Have manufacturer’s instructions for all chemicals (e.g. enzymatic detergent, high-level disinfectant, etc. ), equipment (automatic washers, automatic endoscope reprocessors, sterilizers, etc.) and instruments or flexible scopes available for surveyors. Proactive rounding in all areas conducting high-level disinfection and sterilization to be sure all steps are followed per manufacturer’s instructions will help to prevent infection control findings since this is another area that garners a lot of attention from surveyors. Although written differently in the State Operations Manuals, based on the type of facility, maintaining a ‘sanitary environment’ is part of the infection control CoPs and CfCs. Surveyors will look for cleanliness throughout the facility, tears in mattresses, proper disinfection of patient care equipment between uses, etc. The ASC infection control worksheet instructs surveyors to observe operating room turnover and to address terminal cleaning in the OR, including proper mixing of chemicals used. The last two areas aren’t directly observed practices but will nonetheless be assessed during a survey. Staff education and training is an important consideration when assessing the overall program within the facility. Surveyors may ask for education records of specific staff members as well as interview staff to find out how often and what methods are used for education. The interaction of the infection control program with the quality assessment and improvement program (QAPI) is another area that is evaluated in all types of facilities. The expectation is that problems identified by infection control will find their way to the QAPI committee for discussion and tracking. Surveyors will look for ‘proof’ in the form of documentation. 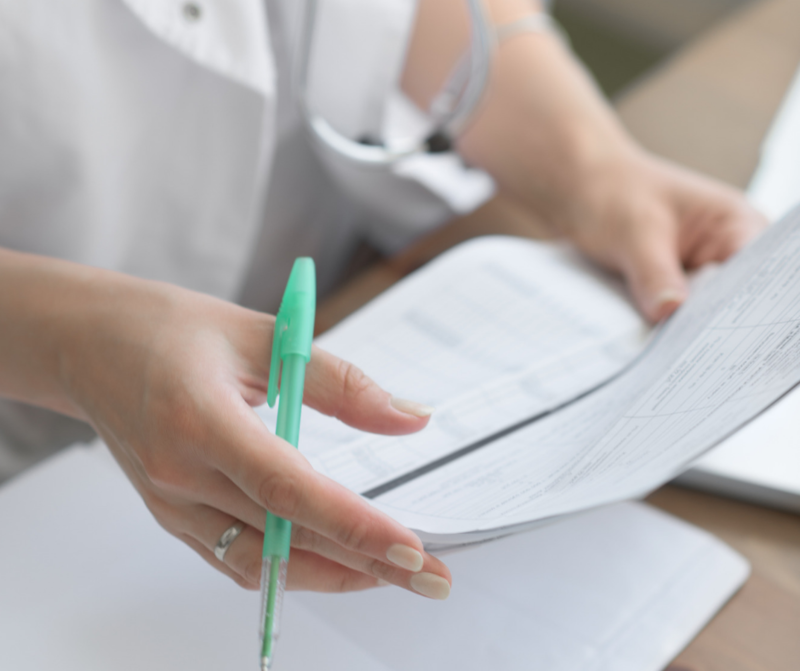 This blog has provided an overview of the areas assessed during a CMS survey (or by an accrediting agency with deeming authority). Contact Infection Control Results for assistance with infection control survey preparation or any infection control concern.